With every passing year, mobile devices entice users to spend more time with them. Even in 2017, Adobe with one of its digital insight article claimed people are spending less time on websites overall. And, eMarketer’s extensive 2018 report also provides insight about ‘time spent on mobile’. As mobile applications have become the center of the business leaving behind websites and other channels, it is a right time to have a sense of how things work on mobile devices and understand what works and what not? Because every business is doing this today and collect insight on user behavior; thus improvising the services and product they are offering to retain customers. Though we discuss a lot about different application development perspectives and frameworks, in the following posts, we will talk the importance of “Mobile Design” and will try to identify the Metrics of Good Design in best android applications development. Mobile offers an easy and fast way to do things for every action we used to do on a desktop. Doing m-commerce become easier than ecommerce and thus we all somewhere become mobile users. However, becoming a mobile app maker takes a lot of efforts and time. If you are about to launch a mobile app, you may realize your users are not the ones you were expecting. Today’s users are so much complicated, but smart too. Though they are busy, impatient and unpredictable, they wouldn’t come back to the app once they ditch that in case of not finding it useful. Here comes this question. How would you decide users found your application useful and are happy with what you are offering? Today, the number of downloads of an app doesn’t define its success. Finding an easy answer to the question is not easy for the stakeholders and ios application development companies. But, thankfully there are few excellent user happiness guidelines that every developer can adopt in the app development process and recognize how well you are doing. Android app development company us only have three days to make that lasting impression. Any bad move could put off user interest in your application, and it wouldn’t take much to them to declare your app a ghost. What’s the solution? There is something like ‘more engagement’ and then comes ‘more meaningful engagement.’ The most important time a user put into the app is when they download it. You have to ensure an excellent onboarding experience for your users. No bugs, no crashes, and no issues in usability. Moreover, it should be fast and efficient to keep the user rolling throughout the session. Today’s user already knows what to expect in the app the moment they download it. You couldn’t fail in providing that best moment to users once they engage with your app first time. How would you realize that your onboarding procedure isn’t sending your client away? One often-neglected tool is action cohorts, a visual that demonstrates the connection between one action in the application and another. For instance, you can implement a filter that helps you perceive what number of clients signed up to the application and after that proceeded to finish action in the same week. This methodology gives you significant insights about every activity of your onboarding—more than the retention and acquisition rates. The navigation clients make in applications are more complicated than the clicks on a site. Fortunately, the gestures users perform on the mobile screen uncover considerably more about how users interact with the app. Such data empowers you to recognize what they are attempting to do and why. Let’s understand this with an example. Imagine an application with a screen that requires login before clients can continue using the app. A ton of customers was neglecting to finish the login process—something that might be clarified by various reasons, for instance, a bug in the code or an error in a password. Nonetheless, by becoming familiar with the user’ navigation actions on the screen, it is possible to identify that they wanted to swipe so as to sidestep the login screen and see what the application contains—which means it may be a smart thought to permit them a “sneak look” without constraining them to sign in. How would you discover that out? 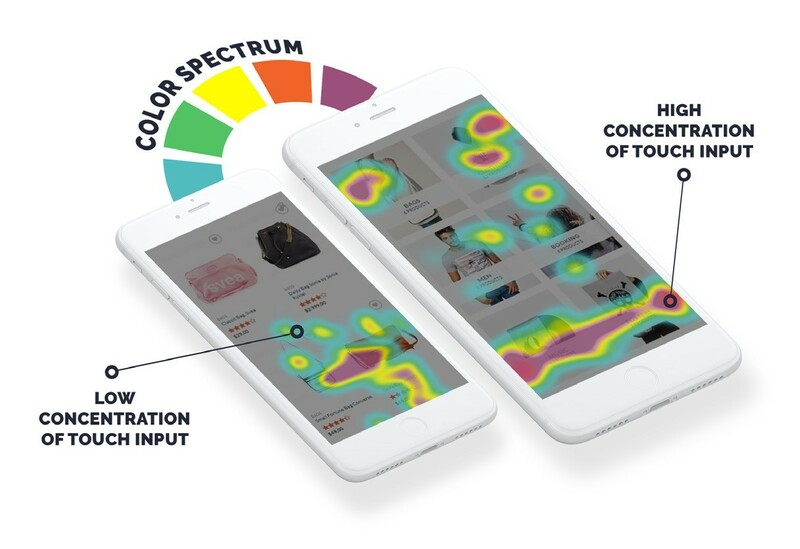 By implementing the qualitative analytics, explicitly touch heatmaps. Touch heatmaps are an incredible method to get a profound understanding with only a snappy look. What this system do is demonstrate a map of the entire actions a user performs on each screen of your application. It helps you navigate where users are touching the screen most. You can take sample images we shared about how touch heatmaps functions. With the help of this feature, you can quickly notice the unresponsive gestures that might be ruining your user’s experience. Heatmap is indicating unresponsive gestures; additionally, the screens users navigated to and from the present screen. What are unresponsive motions? These are the absolute most disappointing things user experience in smartphone applications: the user taps or swipes the screen, anticipating that it should behave in a specific logical way, and it doesn’t. Unresponsive gesture frequently leads to the “rage clicks” of the smartphone: a user turns out to be so frustrated with the application’s interface that they fiercely tap-tap-tap-tap-tap on the screen. After this, what’s usually the next action? You got it; they dumb the application for forever. As terrible as it sounds, heatmaps in such scenarios enables you to deal with the issue rapidly and efficiently. 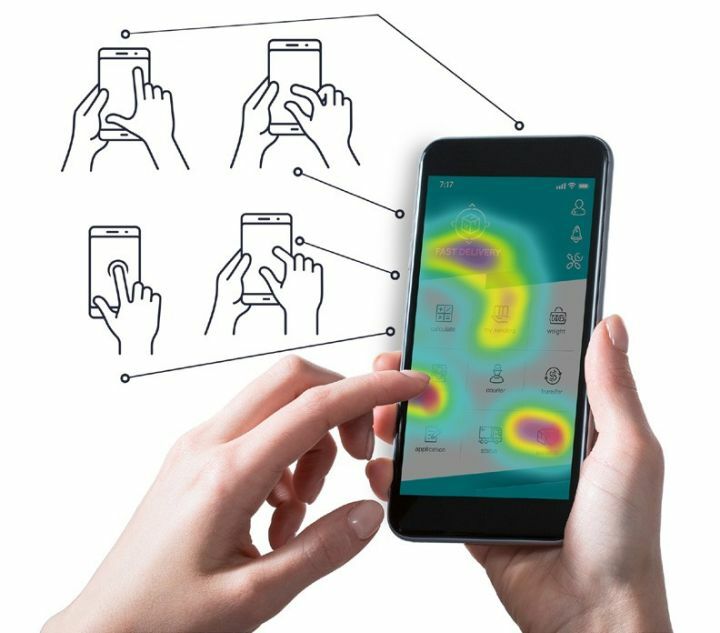 Implementing touch heatmap initially allow you to chase the actions users perform and will allow you to understand where they are hiding. One of the significant difference between mobile users and desktop users is the way how their eye’s move when they look over to the screens. Desktop user’s eye moves around the screen to find the content they want. Conversely, the mobile user’s eye moves only in one direction. The limited space in the mobile screen allow them either swipe or scroll for the information they want; thus the content on mobile screen must be either visible or accessible at all times. 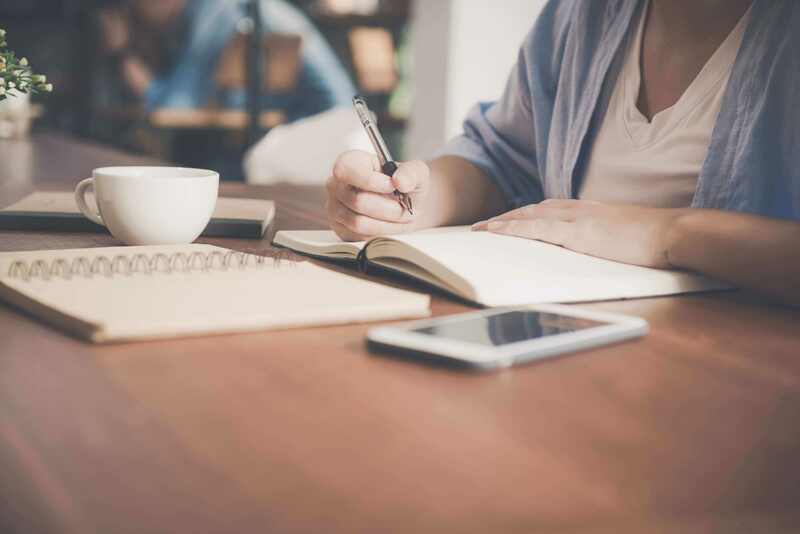 Keep content quick and painless, and stay away from UI practices that make reading on a small screen harder to do, for instance, columns of content or lengths of content that request looking until your fingers get numb. So how would you provide “mobile first” content? Although you may be keeping UX copy as short and sweet as much possible. Here, you can also perform A/B testing of your app’s copy. As you barely have 3-7 days to gain users’ attention, you only get one chance to make a lasting impression, and that makes split-testing of app’s copy even more crucial. Remember, even the content in your app and how it appears to the end user hold a notable impact on the overall experience of using your product. To go from simply satisfying users to truly delighting them, we have to create experiences that respond to users specific requirements. It is called personalization. Personalizing the experience is not just means creating an impression on the individual user. It is all about preemptively envisioning user’s needs and responding to those needs in a manner that feel unique. To develop personalized experience, you can include everything such as phrasing of welcome messages. Although personalization may appear to be an indulgence, it can significantly affect client satisfaction. The more you refrain users put time and effort in an app initially, the more personalized experience you offer to your users and the more joyful they are likely to be. That implies more engaged users and stronger retention. No matter which app components you have personalized, it’s vital to assess which features most emphatically resonating with your audience routinely. One especially compelling approach to do this is to track user session on the screens and understand how they are truly interacting with your app. It does not just offer priceless experiences into how your users are utilizing your application, yet it additionally enables you to see which of your personalization efforts are affecting as well as components that should not have to be personalized. In case you’re going to launch your first application for smartphones, you’re going to meet another kind of user: one who are running short of time, using smartphone having less screen space, and much shorter attention to focus. How would you keep these users cheerful, and how would you keep your application introduced on their smartphone? Although we talked about only four UX design metrics, there are several other methods and strategies that could be used while designing a mobile application. We would love to hear you in the comment section that how you made your mobile application appealing for the user? Alka Singh is who loves to pen down her understanding and knowledge in simplified and engaging manner. She is an early adopter, likes to stay up to date with the latest trends in the mobile industry and add value to the organization. She has an overall 6 years of experience. She has a knack of expressing facts in place of vague information that too in a creative way. She has acquired talent for writing on challenging topics. Sole purpose of her writings is to provide information which readers find easy to grasp and utilize. 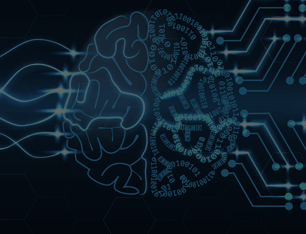 How to use Artificial Intelligence Markup Language (AIML) In Chatbot Development with Python?